In honor of 20 years of the Vans Half Cab and 30 years of Metallica, the brand and the band have teamed up to give the iconic shoe a metal makeover. 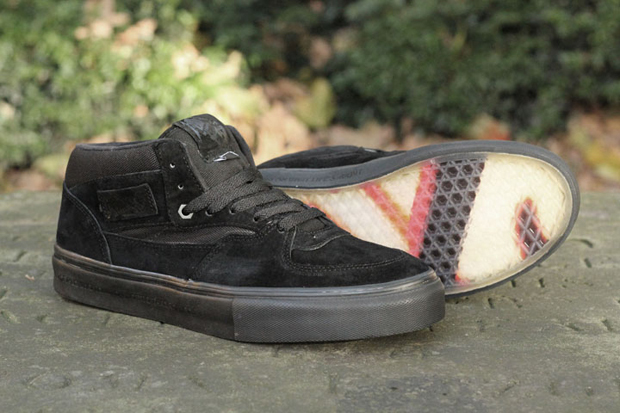 The Half Cab has been one of skateboardings most iconic shoes, being the Vans of choice for skaters and sneaker collectors alike. This time around we see the shoe get the Metallica stamp of approval and celebrate not only 20 years of the shoe itself but also 30 years of the brand. 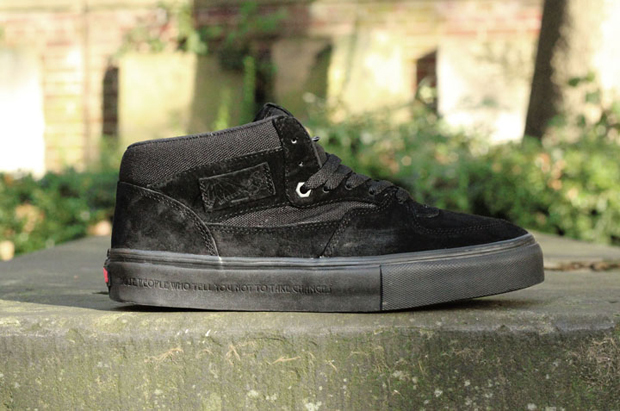 Titled “KILL ‘EM ALL” (the same title given to the band’s anniversary celebrations), the Half Cab is given the all-black-everything treatment with black suede, toughened canvas and foxing covering the upper and the sole showing the Kill Em All album cover artwork through the vulcanised clear rubber sole. Not forgetting this shoe’s true purpose, it also features the pro skate impactsorb gel sole unit, ensuring comfort when skating – if you are crazy enough to skate in these that is. A nice subtle detail added to this shoe will no doubt please die hard Metallica fans and that is the inclusion of lyrics from the song ‘Motor Breath’ written around the sole, a nice touch for any fan. 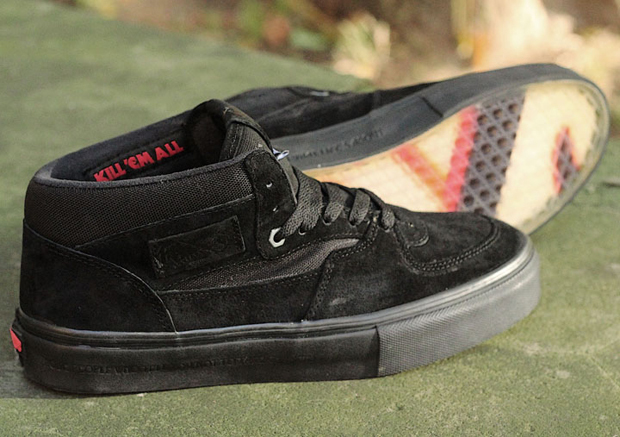 The Vans “KILL ‘EM ALL” Half Cab will be available from Slam City Skates next week. Is it wrong to wear these if you don’t skate?